Static Part: Key facts on WCO. Dynamic and Current: Role of WCO in global market and emerging challenges. Context: 80th Session of the Policy Commission of the World Customs Organization (WCO) was held recently in Mumbai. The Session was organized by the WCO and hosted by the Central Board of Indirect Taxes and Customs (CBIC). 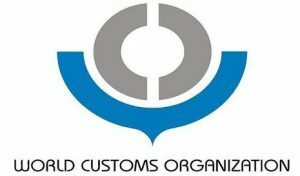 The World Customs Organization (WCO), established in 1952 as the Customs Co-operation Council (CCC) is an independent intergovernmental body whose mission is to enhance the effectiveness and efficiency of Customs administrations. As the global centre of Customs expertise, the WCO is the only international organization with competence in Customs matters and can rightly call itself the voice of the international Customs community. The WCO has divided its Membership into six Regions. Each of the six Regions is represented by a regionally elected Vice-Chairperson to the WCO Council. As a forum for dialogue and exchange of experiences between national Customs delegates, the WCO offers its Members a range of Conventions and other international instruments, as well as technical assistance and training services. Besides the vital role played by the WCO in stimulating the growth of legitimate international trade, its efforts to combat fraudulent activities are also recognized internationally. WCO has also been responsible for administering the World Trade Organization’s Agreements on Customs Valuation, which provide a system for placing values on imported goods, and the Rules of Origin, which are used to determine the origin of a given commodity. Static Part: About OPEC, Why Qatar is leaving? Dynamic and Current: Implications, challenges on Qatar’s exit, What’s the way out? Context: Qatar has announced that it would leave OPEC on January 1, 2019. The decision comes just days before OPEC and its allies are scheduled to hold a meeting in Vienna, Austria. Qatar said it is leaving OPEC in order to focus on gas production. The decision to pull out after more than five decades comes at a turbulent time in Gulf politics, with Doha under a boycott by former neighbouring allies including Saudi Arabia for 18 months. Since June 2017, OPEC kingpin Saudi Arabia — along with three other Arab states — has cut trade and transport ties with Qatar, accusing the country of supporting terrorism and its regional rival Iran. Qatar denies the claims, saying the boycott hampers its national sovereignty. Qatar’s oil production is around 600,000 barrels per day, making it the world’s 17th largest producer of crude. It also only holds around two percent of the world’s global oil reserves. The Organization of the Petroleum Exporting Countries (OPEC) is a group of oil-producing nations that was first established in Baghdad, Iraq, in 1961. OPEC is one of the most powerful international organizations in the world and was a major player in the shift towards state control over natural resources. Gabon, Iran, Iraq, Kuwait, Libya, Nigeria, Qatar, the Republic of the Congo, Saudi Arabia, United Arab Emirates, and Venezuela. Indonesiais a former member, and Qatar will no longer be the member of OPEC starting on 1 January 2019. Static Part: About Soyuz spacecraft and ISS. Dynamic and Current: Space challenges and technological progresses. Context: A Soyuz rocket carrying Russian, American and Canadian astronauts took off from Kazakhstan and has reached orbit, in the first manned mission since a failed launch in October. 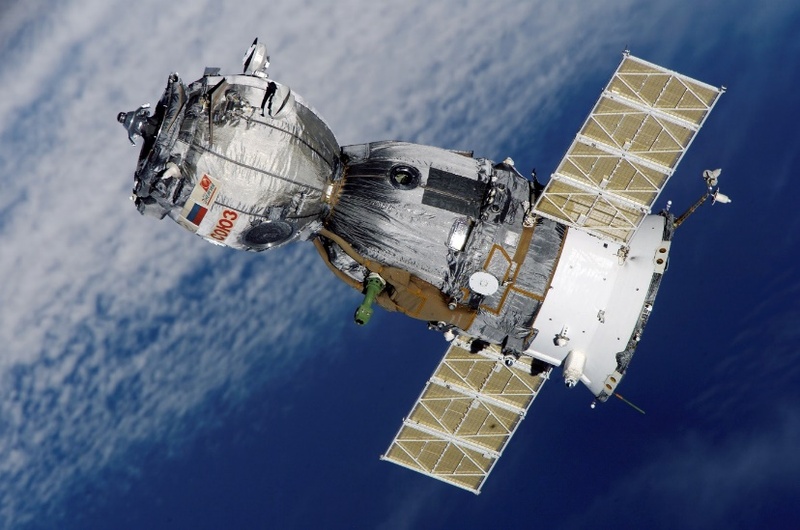 The Soyuz (SAW-yooz) is a Russian spacecraft. Astronauts and cosmonauts travel to the International Space Station on the Soyuz. The Soyuz transports crews to the International Space Station and returns them to Earth after their missions. The Soyuz is like a lifeboat for the space station. At least one Soyuz is always docked at the space station. If there is an emergency, the station crew can use the Soyuz to return to Earth. The Soyuz is the only means of reaching the ISS since the U.S. retired the space shuttle in 2011. The International Space Station is a large spacecraft in orbit around Earth. It serves as a home where crews of astronauts and cosmonauts live. The space station is also a unique science laboratory. It orbits Earth at an average altitude of approximately 250 miles. It travels at 17,500 mph. This means it orbits Earth every 90 minutes. NASA is using the space station to learn more about living and working in space. These lessons will make it possible to send humans farther into space than ever before. NASA, Roscosmos, JAXA, ESA, and CSA. The ownership and use of the space station is established by intergovernmental treaties and agreements. The station is divided into two sections, the Russian Orbital Segment(ROS) and the United States Orbital Segment (USOS), which is shared by many nations. Static Part: About floating solar plants in India. Dynamic and Current: Floating solar plants- significance, potential, challenges and solutions. Context: A 50MW floating solar plant will be set up in the country’s largest reservoir Rihand dam in Sonbhadra district in UP. 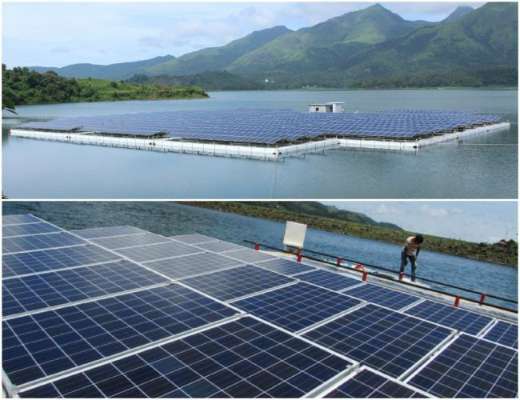 Floating solar plants are considered an alternate option to tackle land availability issues. The concept involves setting up solar panels on floats placed on dams, lakes and similar water bodies. Floating solar makes intuitive sense in geographies with high land costs and poor availability. Floating solar is a definite reprieve for states that are a significant market for more renewable energy but with little land to spare, as is the case with Uttar Pradesh. The global floating solar market is driven by Asian countries, with China and Japan being home to bulk of the existing operational capacity of 259 MW. In India, floating solar is likely to face challenges scaling up to the level of ground-mounted plants. Cost: Despite being land neutral, the cost of the floating systems including anchoring, installation, maintenance and transmission renders the overall cost of the floating solar systems are much higher than the land based systems at this initial stage of development. Technical issues: Besides the two major issues of corrosion and instability, other issues like the long term impact of moist environment on modules, cables, safe transmission of power through the floats to the nearest feeder point, the environmental impact on the water body and the marine life etc needs to be addressed and – make the system cost effective. Non-availability of floats in India makes it an expensive option. Project costs higher by 30%-50%than ground mounted solar. Dependent on European or Chinese suppliers. The largest floating solar plant to date is a 2MW one in Vishakhapatnam. Another is a 500-kWh plant built by the Kerala State Electricity Board at the Banasura Sagar Dam. Static Part: About PCCoSC and roles. Dynamic and Current: Need, issues and significance. Context: The three services are taking steps to improve ‘jointmanship’ and have agreed on the appointment of a Permanent Chairman of the Chiefs of Staff Committee. This proposal has been forwarded to the Defence Ministry and it is being examined there. The PCCoSC is envisaged as a single-point military adviser to the government. PCCoSC will be a four-star officer, who will be equivalent to chiefs of army, airforce and navy. For better coordination and co-operative practices among the three services. To provide single point military advice to government. Streamline long-term defence planning and procurement purpose. He would look into joint issues of the services like training of troops, acquisition of weapon systems and joint operations of the services. The officer would also be in-charge of the tri-services command at Andaman and Nicobar Islands, the strategic command of nuclear weapons along with the upcoming cyber and space command. A GoM in its report, submitted to the government in February 2001, recommended the creation of such an institution. The Naresh Chandra Task Force, formed in May 2011 to review the national security management system, recommended the creation of permanent post of chairman, chiefs of staff committee (CoSC). Important International institutions, agencies and fora-their structure, mandate. The Union Environment Minister Dr. Harsh Vardhan participated in the inauguration of Indian Pavilion at the 24th meeting of Conference of Parties (COP-24) to the United Nations Framework Convention on Climate Change (UNFCCC) held at Katowice, Poland. Theme of India Pavilion – “One World One Sun One Grid”. The Ministry has launched a nationwide campaign in preserving and protecting the environment called the Green Good Deeds Movement. This campaign was prepared to inspire, encourage and involve each and every individual of the society to realize people’s participation in accomplishing the goals. India’s leadership in global climate action has been recognized and Prime Minister Narendra Modi has been bestowed with “Champion of Earth Award” this year by the United Nations in promoting International Solar Alliance and resolve to make India plastic free by 2022. What is the ‘Champions of the Earth award’? It was launched in 2005. “Champions of the Earth”, the UN’s highest environmental honour, celebrates outstanding figures from the public and private sectors and from civil society whose actions have had a transformative positive impact on the environment. In 2018, the award was received by Prime Minister Narendra Modi and French President Emmanuel Macron for their leadership in promotion of solar energy. The COP takes decisions to ensure effective implementation of the provisions of the Convention and regularly reviews the implementation of these provisions. UNFCCC is an international environmental treaty, entered into force on 21 March 1994. Now, it has near-universal membership. The UNFCCC has 197 parties as of December 2015. To prevent ‘dangerous’ human interference with the climate system. Context: India’s first engine-less train-breached the 180 kmph speed threshold during a test run in the Kota-Sawai Madhopur section, becoming the country’s fastest train. Train 18 is a flagship train set; the first prototype has been built by the Integral Coach Factory, Chennai, in a record time of 20 months. 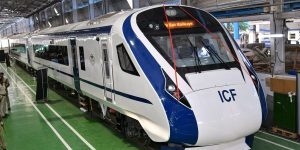 The train is a 100% ‘Make in India’ project and is claimed to be built at half the cost of a similar train set that is imported. T-18 is a self-propelled engine-less train (similar to the Metro trains) and is energy-efficient as its coaches will be fitted with LED lights. Coaches will have automatic doors and retractable footsteps. It will be inter-connected with fully sealed gangways along with a GPS-based Passenger Information System. It is provided with of Bio toilets. Context: The ninth edition of the Admiral’s Cup Sailing Regatta, the biggest military sailing competitive event in the world as far as the number of participating countries are concerned, is being held at Indian Naval Academy (INA), Ezhimala in Kerala. A total of 32 teams, including 30 from foreign countries are taking part in the event. Background: It was in 2010 that the Indian Navy instituted the ‘Admiral’s Cup Regatta’ as a ‘fleet race’ in a single crew Olympic class ‘Laser Radial’ sail boat, with eight foreign Naval Academies participating. This year’s regatta has the highest ever number of countries participating in the event with first time participation by Bulgaria and Iran. Context: The International Day of Persons with Disabilities is observed every year on December 3 to promote the rights and well-being of persons with disabilities in all spheres of society and development. 2018 theme- “Empowering persons with disabilities and ensuring inclusiveness and equality”. The International Day of Persons with Disabilities was instituted by United Nations General Assembly (UNGA) in 1992. It aims to promote an understanding of disability issues and mobilize support for the dignity, rights and well-being of persons with disabilities. It also seeks to increase awareness of situation of persons with disabilities in every aspect of political, social, economic and cultural life. Previous story Indian Pavillion at COP-24.